So you just accepted the new and improved Scroll of Resurrection from a friend, but you don’t know what to do after reaching level 85. Don’t worry: between dungeons and raids, new battlegrounds, the Archeology profession, more class/race combinations, transmogrification, and the reforging feature, there's plenty of content to explore. Here's a brief overview of some cool stuff that has been added since the release of World of Warcraft: Cataclysm. Elemental Bonds: While even the Aspects concede that Thrall may be lost to the elements forever, there is one who still believes that he can be saved from this bleak fate. Aggra, a powerful shaman in her own right, calls upon you to assist her as she travels to the ends of the earth and beyond -- to Skywall, the Abyssal Maw, Deepholm, and Firelands -- to rescue her beloved from an eternity of torment. Learn more. The Regrowth and Molten Front: The Regrowth and Molten Front quest hubs feature several stages of content. You begin your journeys at the renewed Sanctuary of Malorne in Mount Hyjal where you need to repel invading armies of elementals. From there, you must open a portal directly to the Firelands and establish a forward outpost that the Guardians of Hyjal can use to thwart further incursions by Ragnaros's forces. You get to use a new alternate currency called Marks of the World Tree to unlock these quest steps at your own pace. Learn more. The new Darkmoon Faire: Come one, come all! Make your way to Darkmoon Island during the first week of every month to take in the new Darkmoon Faire, complete with new quests, shows, games, recipes, toys, balloons, souvenirs, snacks, beverages, achievements, and titles! Learn more. For more information, check out our Patch Notes page and go to our Wallpaper gallery to make your desktop more epic than ever before! Rise of the Zandalari: Originally a 20-player dungeon released in patch 1.7, Zul'Gurub once again opened its gates, featuring updated lore, all-new encounters, achievements, and improved loot! Zul'Gurub is now a level-85 five-player Heroic difficulty dungeon. Learn more. Ever a player favorite, the level-70 ten-player dungeon of Zul'Aman was reintroduced as a level-85 Heroic five-player dungeon. While Zul'Aman was more of a throwback to the original dungeon featuring many of the same encounters, you can expect to find some updated gameplay mechanics as well as new environment textures and lighting. New versions of the rare raptor, tiger, and bear mounts are available, while the old versions of these mounts will remain unique to those who already have them. Hour of Twilight: Follow an epic storyline that takes you through three new heroic dungeons. End Time gives you a look at the desolate future of Azeroth, should its defenders fail to stop Deathwing. Well of Eternity takes you back 10,000 years in a brazen attempt to retrieve the Dragon Soul. Hour of Twilight sets the final stage by bringing you face-to-face with the Twilight's Hammer in present-day Dragonblight, where Thrall and the Dragon Soul must be escorted to Wyrmrest Temple so that the assault on Deathwing can commence. Dungeon Finder — Call to Arms: A new system intended to lower queue times, Dungeon Finder: Call to Arms offers additional rewards for queuing as the currently least represented role. To be eligible for the additional rewards, you must solo queue for a random level-85 Heroic in the role that is currently being Called to Arms and complete the dungeon by killing the final boss. Every time you hit these requirements (there is no daily limit) you'll receive a goodie bag that will contain some gold, a chance at a rare gem, a chance at a flask/potion, a good chance of receiving a non-combat pet (including cross faction pets), and a very rare chance at receiving a mount. Learn more. Rage of the Firelands: Firelands is a huge outdoor raid with 10-person and 25-person normal and Heroic modes. It's a scorching opportunity to delve into this Elemental Plane, where six unique bosses stand between you and the reinvigorated Ragnaros. Learn more. Raid Finder: This new grouping feature allows players to quickly and easily form a pick-up raid for a specially tuned version of the current tier of endgame content: the Dragon Soul raid. 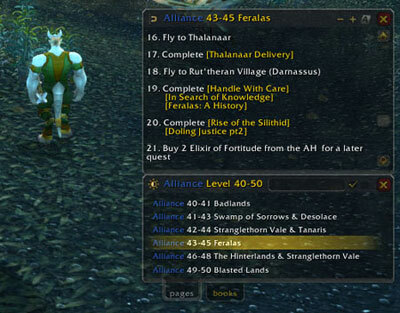 Learn more about the Raid Finder and check out our Q&A article. Dragonwrath -- Tarecgosa’s Rest: The great staff Dragonwrath duplicates destructive magics, and also bestows upon its wielder the ability to transform into a member of the Blue Dragonflight. Those who complete the staff won’t be the only ones to receive a reward, though. As this task requires the dedication of an entire guild, upon completion of the staff all guild members will receive a unique non-combat pet to call their own. Learn more. Dragon Soul Raid: The Dragon Soul raid offers players the opportunity to take the fight to Wyrmrest Temple and beyond, assisting Thrall and the Dragon Aspects as they seek to bring an end to the Black Dragonflight once and for all. Join a 10- or 25-person raid to take on Deathwing himself, with three levels of difficulty to tackle and epic gear to claim. Learn more. Fangs of the Father: The most deadly and experienced rogues play a central role in the fate of the world in their own way -- by manipulating key events from the shadows. Travel across continents to accomplish crucial missions of reconnaissance, burglary, infiltration and, of course, assassination. If you succeed, you will receive a paired set of daggers that become increasingly lethal as you progresses along the legendary quest. At the height of their strength, they are imbued with the vile essence of the Old Gods as well as the maddened fury of the Black Dragonflight -- bestowing upon you power beyond imagining. Learn more. Dungeon Journal: A host of dungeon information is now built into the user interface with the all-new Dungeon Journal. This feature can be accessed via a new button in the Navigation tray from anywhere in the world. Boss background story, encounter details, abilities, and loot can be viewed with the Dungeon Journal for all bosses that have been integrated into the new system (this includes bosses for all Cataclysm dungeons and raids). Learn more. Guild Challenges: Built into the info panel of the guild user interface, Guild Challenges are weekly tasks that guilds can tackle for additional guild experience, achievements, and gold. The new Guild Challenges section at the top of the guild info pane is broken down into three categories: Dungeons, Raids, and Rated Battlegrounds. Any guild group will qualify for Guild Challenge credit, but keep in mind that there is a cap on how often each challenge can be completed per week. Learn more. Guild Finder: The Guild Finder is a system designed to enable easier and faster guild recruitment. Guild leaders and players who are looking for a guild to call home can use the Guild Finder to meet one another and strike up a conversation. Whether you're a guild leader looking to fill your ranks or a player looking for a guild that meets your strictest requirements, the Guild Finder provides an easy way to make new friends! Learn more. Transmogrification: This new feature lets you customize your gear like never before: copying the appearance of one magical item onto another. You'll find Transmogrification and Reforging vendors in Cathedral Square in Stormwind and The Drag in Orgrimmar. Void Storage: In addition to the bank, you now have access to a new "deep storage" system, allowing characters to free bag space by setting aside coveted gear. You'll find Void Storage and Reforging vendors in Cathedral Square in Stormwind and The Drag in Orgrimmar. Learn more in our original article and read the current rules in our forums. Don’t forget to check out our transmogrification gallery of screenshots submitted by the community!